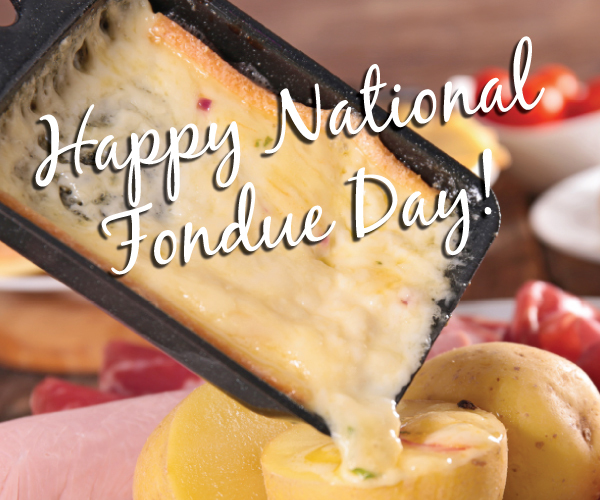 A classic choice for fondue and a superstar melter, Raclette is eaten hot – the name comes from the French word ‘racler’ or ‘to scrape’ - as the savory melted wheel of cheese was traditionally heated over an open fire before being poured over an accompanying dish of potatoes. 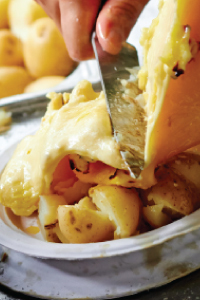 Historically, Swiss shepherds would eat Raclette in the summer, as a filling and delicious meal. Over heat, it bubbles and blisters and turns into supple fondue perfection. All you need is a clove of garlic and swig of white wine, plus your favorite bread, sausages, and veggies for dipping.